It is week 10 in the Road to PolishCon! I can't believe this series has already been going on for 10 weeks. 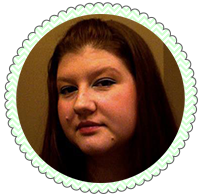 PolishCon will seriously be here before we know it! 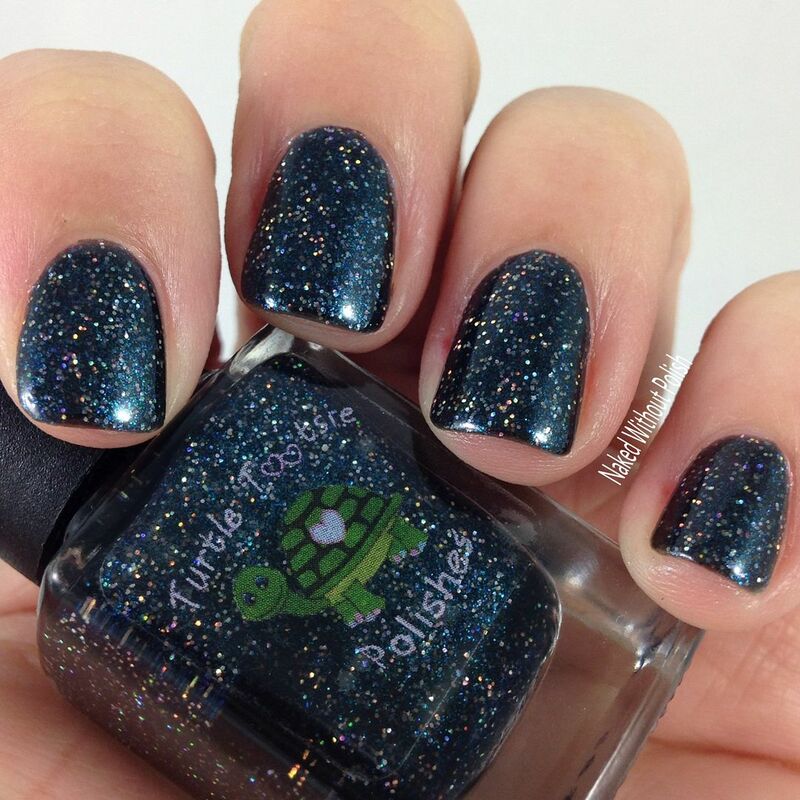 The two brands being featured this week are Leesha's Lacquer and Turtle Tootsie Polishes. I'm so happy to be able to show these off to you today. They may be sold separately, but they would work heavenly together. I don't know if they planned it that way, but BRAVA!, ladies!! 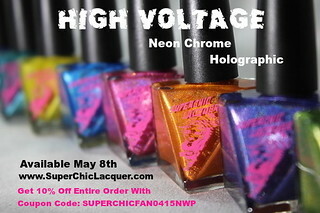 You don't have long to purchase these beauties, as they are only available for the week, so let's get to it! 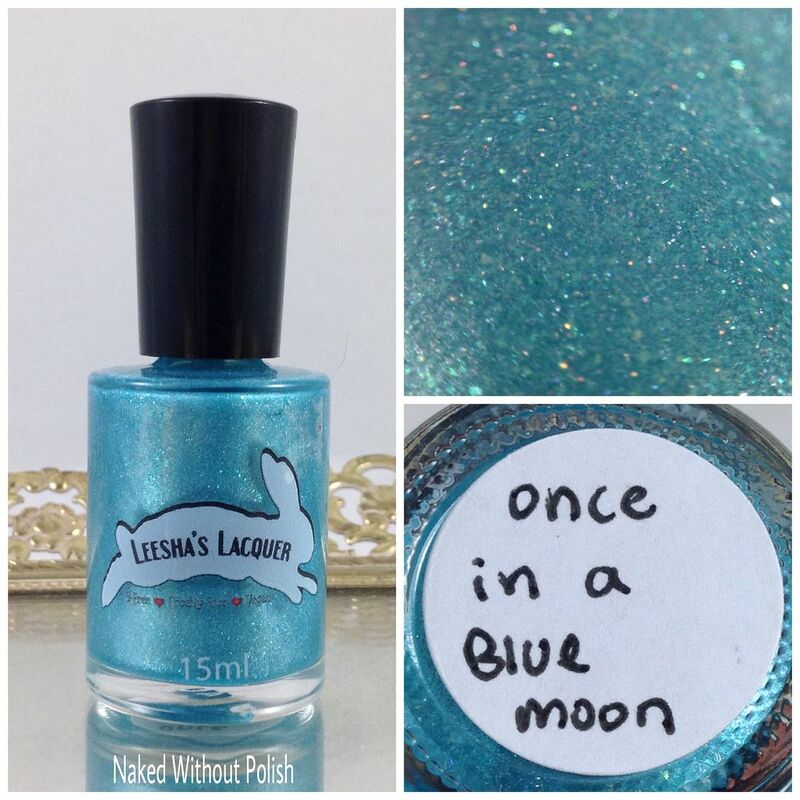 Once in a Blue Moon is described as "a gorgeous glowy blue shimmer with a dash of holo". 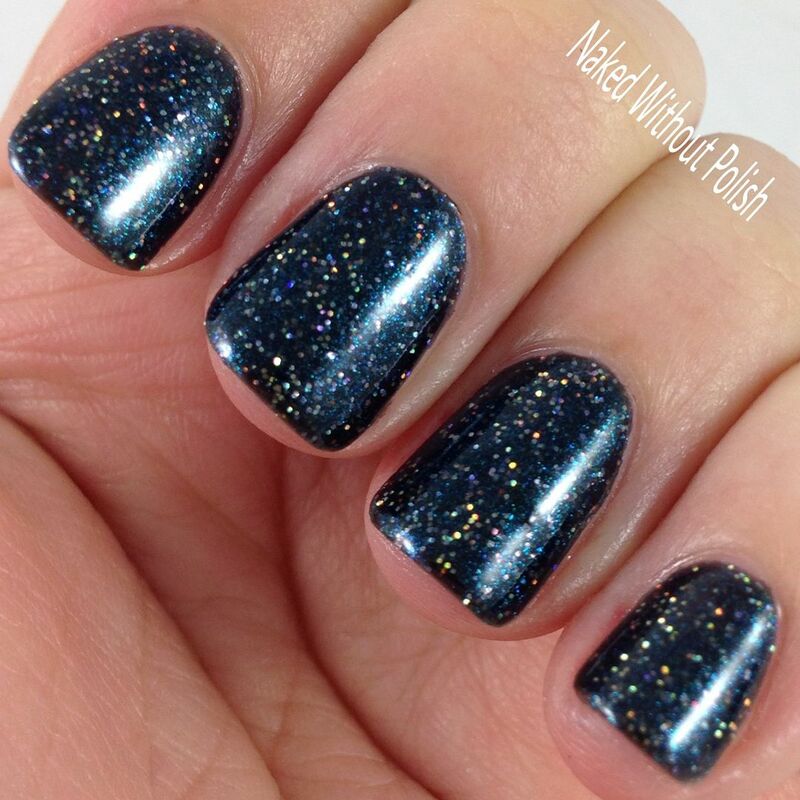 Shown is three coats of Once in a Blue Moon with top coat. Once in a Blue Moon is a beautiful, Caribbean shade of blue. 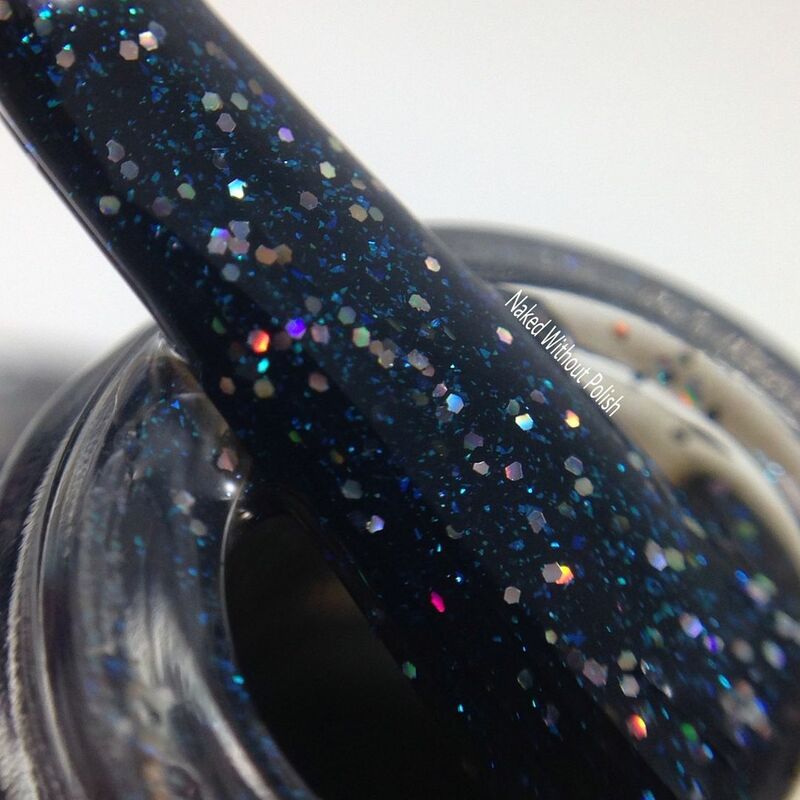 This polish is slightly sheer, but filled with shimmer, micro flakes, and a hint of holo...it will be opaque in three thin coats. Easy to work with brush, smooth formula, and beautiful application. 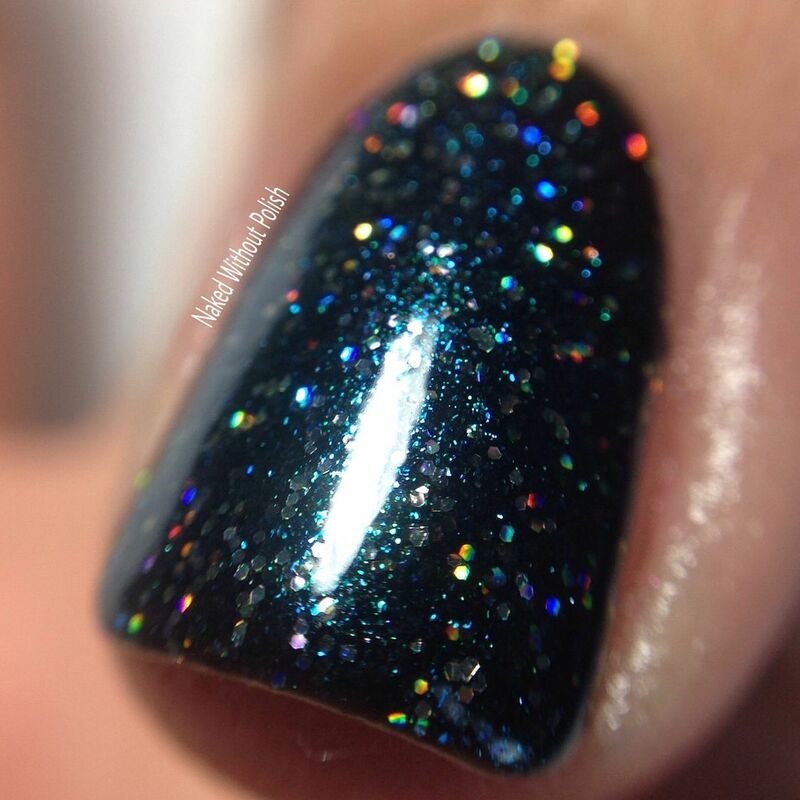 Polish Con Blues is described as "a black, slightly holo, jelly polish with silver holo micro glitter and blue shimmer". 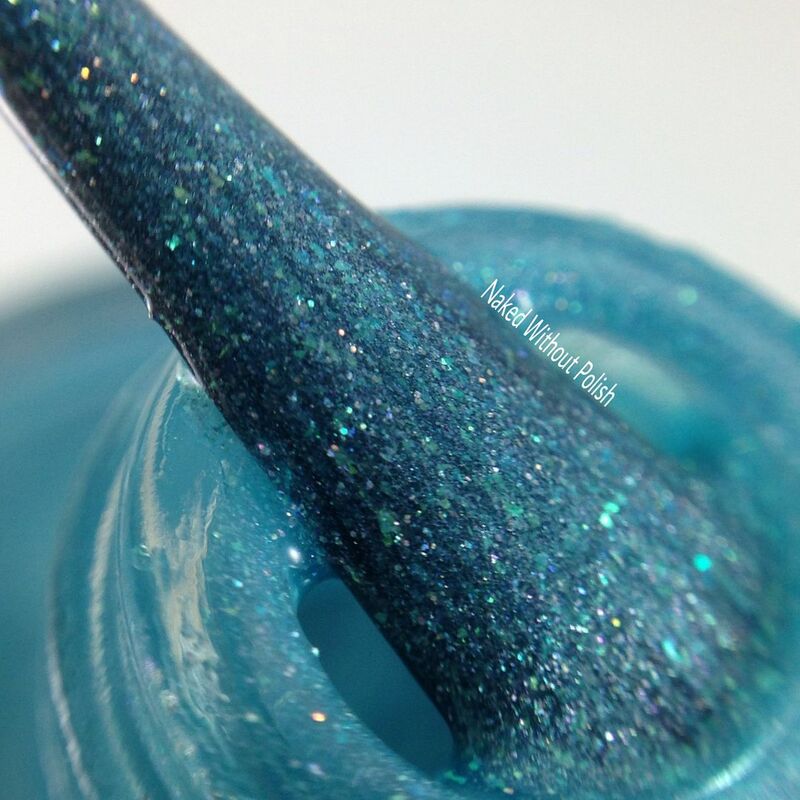 Shown is two coats of Polish Con Blues with top coat. 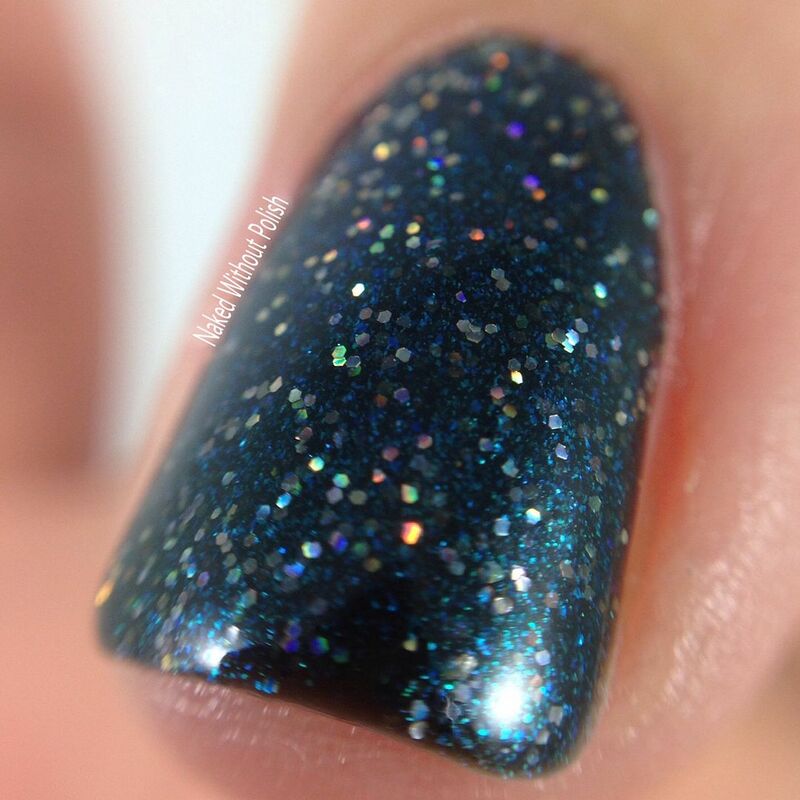 Polish Con Blues is a lovely black jelly filled with so much sparkle and blue shimmer! You won't be able to help but smile with this one as you play with the flashes of blue. Wonderful application! She never disappoints there. Two coats will get you full opacity. Never worry about tossing on a third coat for some extra dimension. It is always a good idea in my book! Both of these are available now at http://polishconvention.bigcartel.com until February 18th. Only 50 are immediately available, after that they will go on to pre-order status. 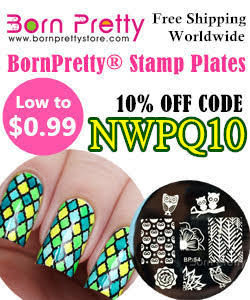 Each polish is $10. 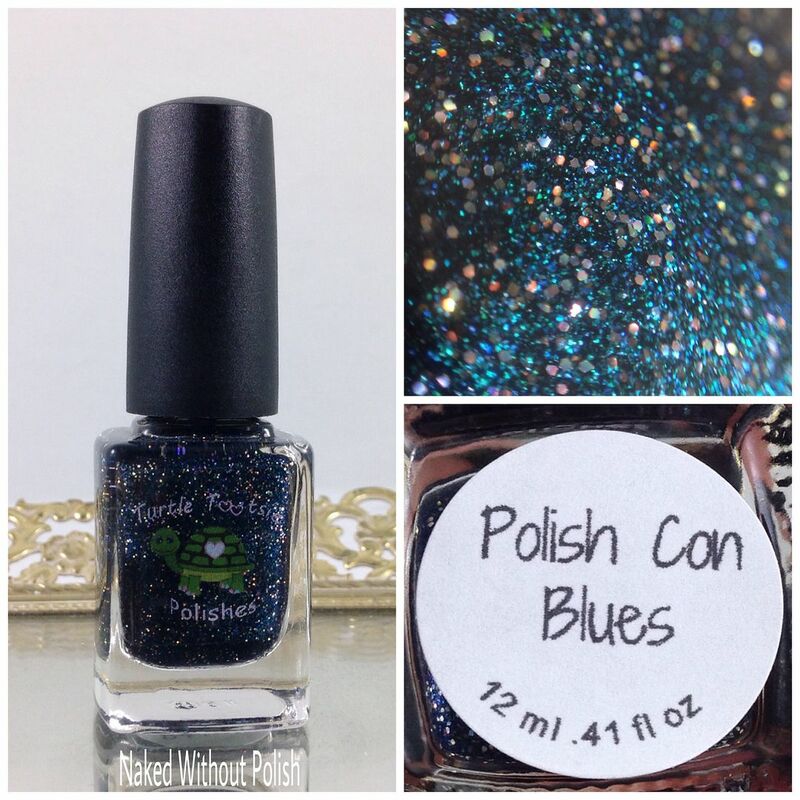 If you will be purchasing several polishes over the Road to PolishCon, they are also allowing a purchase of a medium flat rate box. You can have them hold all your purchases for a one time shipment at the end of the Road to PolishCon. It was such a thoughtful feature to add it. What are your thoughts on these two? 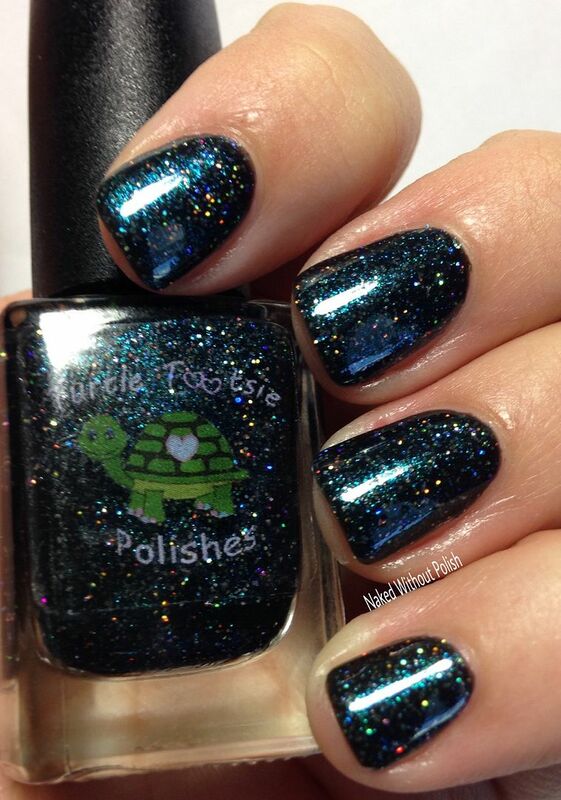 I'm getting so excited for PolishCon! Booked my hotel this weekend. It will be here before we know it!